Last week a box arrived on my doorstep. Inside that box sat another box which opened to reveal an old-fashioned-style record player playing a 1930s song. It both startled me and intrigued me. I thought it was brilliant marketing for Stephen King’s Bag of Bones on A&E. Turns out the entire drawn-out miniseries is all empty jumps, startles and screams. I like the occasional good scream but want there to be a reason behind it. Stephen King’s Bag of Bones focuses on a writer [Pierce Brosnan] whose wife [Annabeth Gish] dies. He retreats to their vacation home on a lake in Maine where he meets a young woman [Melissa George] and in helping her becomes embroiled in an old town mystery. 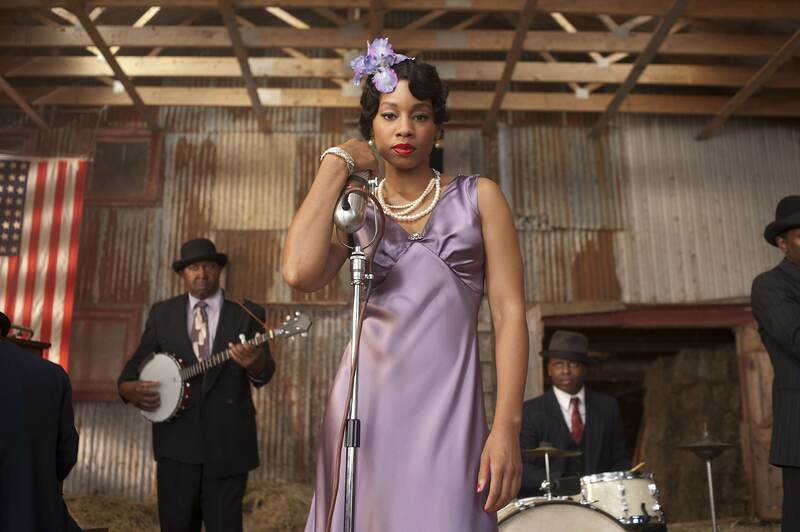 Decades ago, a singer named Sarah Tidwell [Anika Noni Rose] placed a curse on the entire town. When a story is about a writer I wonder if the writer is imagining something, writing something or actually experiencing it. Most of Stephen King’s Bag of Bones features a frustrated, angry, solitary Brosnan. It’s not entertaining. Or scary. 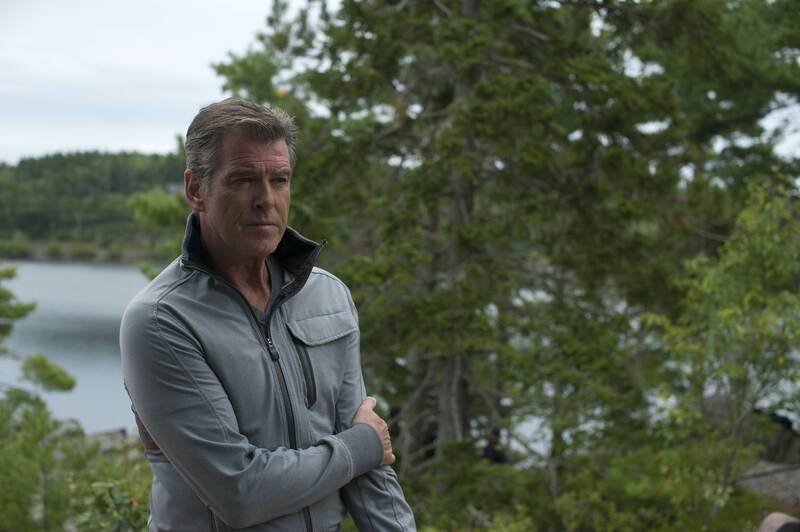 Brosnan’s character Mike Noonan is terribly unlikable. He’s pushy, abrupt and arrogant. He doesn’t treat anyone with respect. Yet he attracts women decades younger. He’s also American and it seems his family has been here for decades and he still has a hint of an Irish accent. Not good. 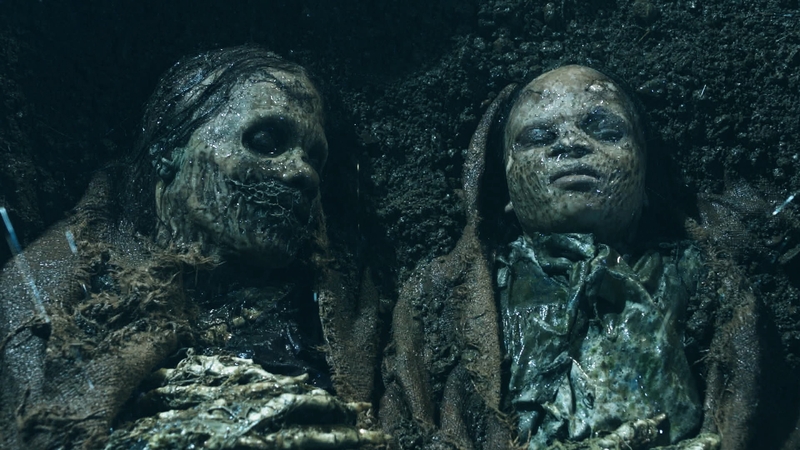 True to the title, the miniseries fills the small screen with ghosts and ghouls—bags of bones. Something got lost in translation from King’s book to the television screen. It’s disappointing. A weak script, sub-par acting and lazy editing make Stephen King’s Bag of Bones a miniseries to skip. This entry was posted on December 11, 2011, 17:59 and is filed under TV. You can follow any responses to this entry through RSS 2.0. Both comments and pings are currently closed.